As Attorney General, my job is to do everything I can to defend California’s families and values. These days, it also means protecting those values against attacks from wherever they may come, including Washington, DC. I’ve sued the Trump administration more than 40 times since taking office to stop Donald Trump from harming our communities. But I’m on the ballot this fall and my Republican opponent won’t stand up for Californians against the Trump administration’s attacks. Can I count on you to chip in $5 before tomorrow’s end-of-August deadline to help me keep fighting for our values? California is the world’s fifth-largest economy and a leader when it comes to progressive policies. But Donald Trump wants to roll back our progress, whether it’s our environmental protections, the way we treat immigrants, or the work we’ve done to make health care more affordable and accessible to all. I will not stand by and let anyone stop California from protecting our people, our values and our resources. But I cannot do it alone. Please, pitch in $5 now to show you’re standing with me. TThank you for supporting Xavier Becerra. Grassroots supporters like you help us protect California’s working families, advance criminal justice reform, and keep our communities safe. From the all of us at Team Becerra, thanks for your support! I’ve been closely following TJ Cox’s congressional race in the Central Valley. Why? Because TJ brings something new and needed. He’s not a politician, and for years he’s been a leader in his community — bringing health clinics and job development programs to his neighbors. He’s the real deal, Michael. Investments he directed brought health care access to more than 40,000 residents and created hundreds of new jobs! Health care access is a big deal for me, and to say that TJ Cox would be a much-needed ally in today’s Congress would be an understatement. I’m proud to support his campaign, and I hope you’ll join me by chipping in a donation before his end-of-month deadline. A lot needs to change if we’re going to restore the American people’s trust in Washington, and there’s no better way to do that than by getting things done — on health care, jobs, improving our schools, and protecting our environment. That’s why I’m so eager to support TJ’s campaign because I know he’ll work to deliver real results. This race is very competitive, and it is exactly the kind of election that we’ve got to win if we’re going to get back on track in Congress. Join me by chipping in $10 or more before TJ’s end-of-month deadline. Let’s make sure he has the resources he needs to win this race. The past month has proven to be a record breaking month for our campaign. We’ve gained over 100 new supporters and beat our fundraising goal, but we have more work to do between now and Election Day. To get us across the finish line, we’ve set a new goal for September: we’re going to double the number of supporters on our endorsement list and raise $5,000. I know we can do it, but I need your help. Can you chip in to help me reach our September fundraising goal? No donation is too small, and every little bit helps. Are you on my endorsement list? If not, click here to add your name to our growing list of supporters. I hope to see you out on the campaign trail! This is just a reminder about tonight’s fundraiser for my Candidacy for State Center Community College, Trustee Area 4. Many of you have already RSVP’d and for those that still want to come and didn’t RSVP, please feel free to stop on by and give your donation at the door. Gilbert Felix invited you to TJ Cox for Congress ‘s event Selma Meet & Greet with TJ Cox Wednesday, September 5 at 5:30 PM 12100 E Floral Ave, Selma, CA 93662-9789, United States Going Interested Not Interested Meet & Greet with TJ Cox at the Home of Vicki Filgas Trevino. Learn about TJ and our campaign to Flip CA21 blue! Pending Invites (11) Block invites from Gilbert? Meet & Greet with TJ Cox at the Home of Vicki Filgas Trevino. Learn about TJ and our campaign to Flip CA21 blue! Things aren’t looking too hot for David Valadao’s reelection chances. That’s why TJ Cox — who has spent years on the ground helping launch health care clinics in the Central Valley — is giving David Valadao his biggest challenge yet. We’re on the verge of handing Trump and Valadao a humiliating defeat. We need to raise $50,000 before Friday to make sure we can oust Valadao. Can you chip in a donation to send TJ Cox to Congress? Valadao and his friends in Washington are starting to panic. Special interest groups already bought a massive TV buy in Fresno and Bakersfield against TJ Cox, and Paul Ryan’s NRCC dropped nearly $100,000 on ads to attack TJ’s progressive campaign. Bloomberg News reported this past week that California is leading the resistance against the Trump agenda, citing the 41 lawsuits we’ve filed to block this administration’s reckless policies. I know that many of this administration’s actions can’t hold up in court. And while Donald Trump often thinks he can do whatever he want, as long as our laws and institutions are working, that’s not true. That’s why I’m doing everything I can to hold the Trump administration accountable. 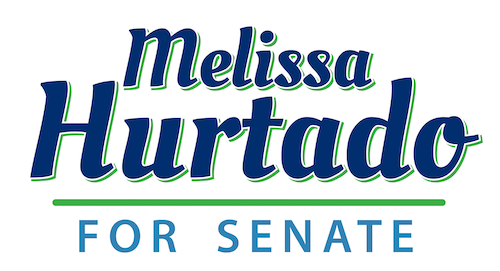 Will you contribute $5 to my campaign now to show you’re with me? Donald Trump is asking us to backslide. But we refuse to go backwards. My job is to protect our families and values. And if someone gets in the way of that goal, we have to take them on. That’s my job. That’s why I filed a lawsuit when the Trump administration began separating children from their parents at the border. It’s why I’m leading the fight to stop this administration from rolling back President Obama’s clean car standards. And it’s why I’m stepping up to save the Affordable Care Act against a challenge from GOP states, even as the Trump administration has declined to defend the law. I’m on the ballot this November and I can’t keep challenging the Trump administration’s harmful decisions without your support. Contribute $5 now to help me keep fighting for our families and our values. Devin Nunes took this trip in the midst of August Recess, a time when representatives should be meeting with their constituents. While Nunes was in London playing spy, Andrew Janz met with his constituents. “I’m so disappointed but also not surprised in our Congressman. He did not have time to hold a town hall, debate me, check in or issue a statement on the thousands of California firefighters risking their lives in August, but he did have time to sneak around London and be denied meetings by British Intelligence. If he’s not going to talk to his constituents, I will. It’s an honor to meet with concerned voters and talk about the issues here on the ground,” Andrew said. Devin Nunes time and time again has disappointed the people here in the Central Valley and across the nation. The question is, was this trip at the expense of taxpayer dollars? Fortunately, voters have another option this November. Candidates Sought in Fresno County for Home Broadband Pilot Study! See below on how you can help! The California Public Utilities Commission (CPUC) needs your help participating in the CPUC’s Home Broadband Study. Based on its successful CalSPEED broadband testing and analysis program, the CPUC has developed a program to test and analyze the actual service quality being received by California consumers of fixed broadband services. The study, conducted in partnership with the Geographical Information Center (GIC) at California State University, Chico and California State University, Monterey Bay, will enable research on a number of issues critical to understanding the status of broadband service in the state. Such issues will include the extent to which various technologies and companies are delivering on their promised speeds, whether there are differences in the quality of fixed service in rural versus urban areas, and the extent to which projects deployed using state and federal infrastructure grants are meeting the required service levels of those grants. As a Fresno County resident, sign up to volunteer to participate in the CPUC’s testing program. Interested volunteers can sign up by going to www.calspeed.net and completing a simple survey. We will initially choose approximately 50 volunteers but will expand that number to 500 or more in the coming months. Eligible candidates will be chosen to ensure a mix of factors, which may include provider, technology, location, and subscription service needs. Boxes will be shipped to selected volunteers with instructions for activation. Volunteers will be instructed on how and when to return the testing device so that it can be redeployed elsewhere. Questions about the project? Email: support@calspeed.net. Jewel Hurtado invited you to her event Jewel Hurtado For Kingsburg City Council 2018 Fundraising Event Friday, August 31 at 6 PM Deli Casa in Kingsburg, California Going Interested Not Interested Let’s keep the campaign momentum going! We need your help and support to win. We have a lovely evening planned with special guest speaker, the iconic Dolores Huerta. Also featuring the poetic magic of… Jewel Hurtado and Elisa Rivera are going. Pending Invites (11) Block invites from Jewel? Susan Rowe posted in Fresno County Democratic Women’s Club. A key milestone, a fresh election forecast, and our latest ad hitting Valadao. ⇒ Earlier this month, Team TJ went on the air with our first TV ad introducing TJ Cox to undecided voters in California’s 21st — a key milestone. ⇒ Then last week, Nate Silver’s FiveThirtyEight called CA-21 one of the 25 races that “could determine control of the U.S. House” and listed TJ’s chances of flipping this seat over 60%. ⇒ Now, we’re up with a new ad making sure voters in our community know about David Valadao’s destructive vote to strip health insurance from working families. Arguments in Texas’ lawsuit against the Affordable Care Act start next week and we’re gearing up to defend the ACA in court. When the Trump administration declined to defend the healthcare law against this challenge, we stepped up to save protections for people with pre-existing conditions and make sure everyone can afford the care they need. I’m doing everything in my power to defend the Affordable Care Act, but my Republican opponent won’t continue this effort. Please contribute $5 to ensure I can continue leading our fight to save the ACA in November and beyond. This lawsuit is a reckless and political attempt to destroy the ACA that would strip millions of families of access to affordable care. If Texas and other Republican-led states win, insurance companies could again deny coverage to people with pre-existing conditions. It would mean an end to Medicaid expansion and to tax credits that make insurance affordable for working families. And it would strip away billions of dollars in healthcare funding. We cannot let Republicans roll back the progress we’ve made and risk the health of millions of Americans. Show you’re with me before oral arguments begin next week. Pitch in $5 now to help me keep defending the Affordable Care Act in court. In direct opposition to the pay to play nature of Washington insiders, Andrew Janz has rejected all corporate money. It’s no wonder that corporate America is desperate to keep their favorite Congressman in office. “I don’t take a dime from big pharma, the Koch brothers, or Wall Street like my opponent. That’s why you can count on me when I promise to go to Washington and fight for the residents of the Central Valley. No wonder we haven’t seen any action on poverty, water security, or education. They aren’t the ones lining Devin’s campaign coffers,” said Andrew Janz. Andrew Janz recently passed the 5 million dollar raised mark since announcing in April 2017 without taking a dime of corporate money. Devin Nunes is the 8-term incumbent for California Congressional District 22 who became a national lightning rod after his midnight trip to the White House in 2017. Most recently Devin Nunes has come under national and local scrutiny for his most recent ethical missteps in spending thousands of campaign dollars on Boston Celtics tickets, wine tours, and Las Vegas getaways. He has not held a town hall since 2010. Andrew Janz is running against 8-term incumbent Devin Nunes in California’s 22nd Congressional District. Andrew has hosted public meetings every single week across the 22nd district for the past 16 months. Andrew Janz is a local Fresno County prosecutor and resides in Fresno with his wife and two dogs.